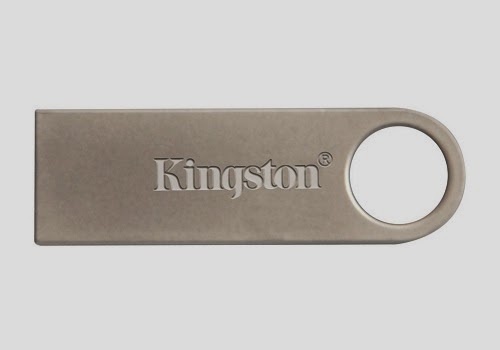 The Kingston’s DataTraveler SE9 (DTSE9) USB Flash drive has a sleek metal casing made of solid metal in one piece with a large integrated key loop that can easily attach to keychain. Its practical and aesthetically pleasing design has won Red Dot Design Award Winner (2012) and iF Product Design Award (2013). DateTraveler SE9 is available in 8GB, 16GB, 32GB and 64GB capacities. 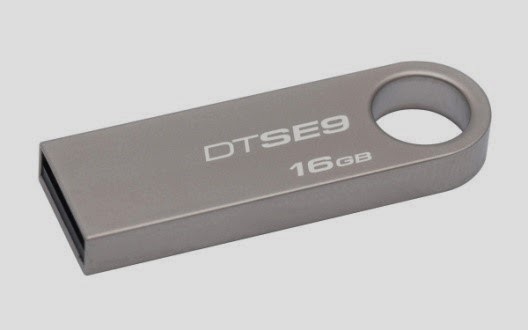 The DTSE9 is light, small and slim, so it is not bulky in a keychain with your keys. Kingston DTSE9 dimensions, 39.00mm x 12.35mm x 4.55mm, which is much smaller than an AA battery. 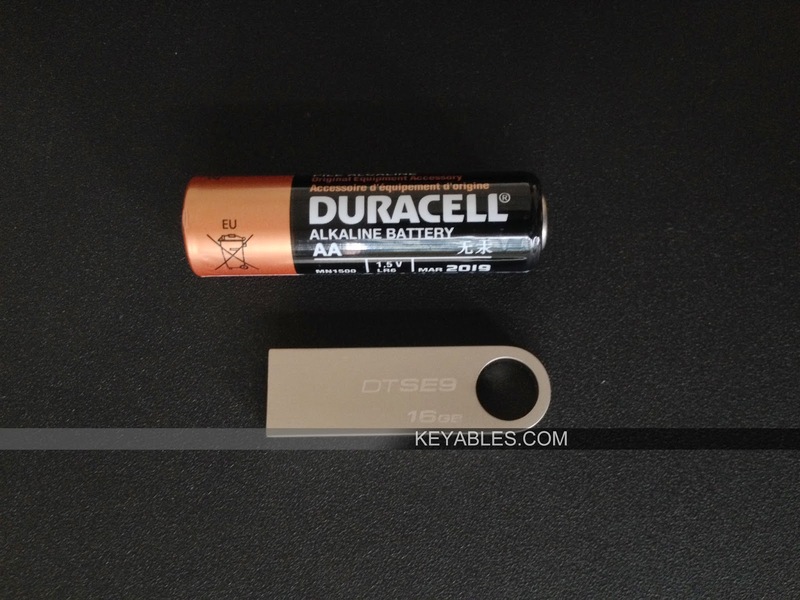 The one-piece metal casing ensures it is durable with daily abuse on the keyring. On this point, you might wonder whether it has static electricity shock when it is plugged into USB port. So far, I did not experience this issue. Structurally, DTSE9 is indeed an elegant accessory for tablets with USB port or good looking metal case laptops like Apple MacBook. However, the surface of the metal scratches easily, especially on the USB plug. 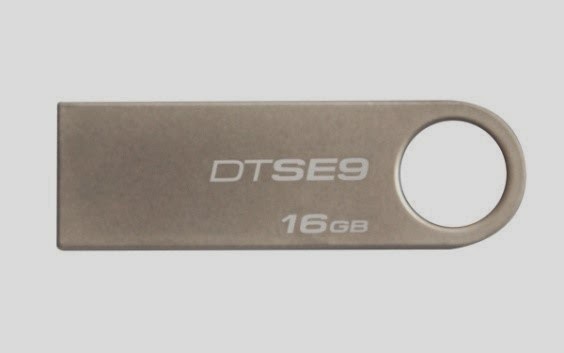 DTSE9 does not have square holes at the top and bottom like most of the USB plug mechanism, you cannot feel whether it is fully inserted into the USB port. 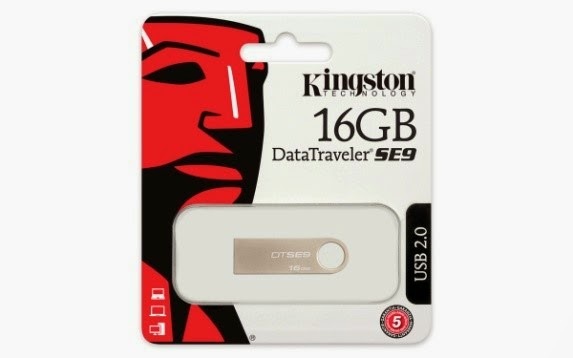 I have a Kingston DataTraveler SE9 16GB model. The free space available is 14.5GB FAT32 format. I transferred a 100MB file to it and it did at average 15MB/sec of speed. The file transfer speed is ok on USB 2.0 standard.